Shepherd Offshore is a market leader in lifting and material handling solutions. Our services help clients improve planning, safety, efficiency and optimize the time management of their projects. For over 40 years, the company has supported all sectors of industry with lifting & material handling solutions. We meet our client’s supply chain needs and provide infrastructure development, resulting in successful project completion, each and every time. Our focus is always to assess the objectives of our clients, understand their product or equipment, assess all the risks, plan accordingly, and design solutions & lifts successfully, from routine through to specialist heavy lifts. 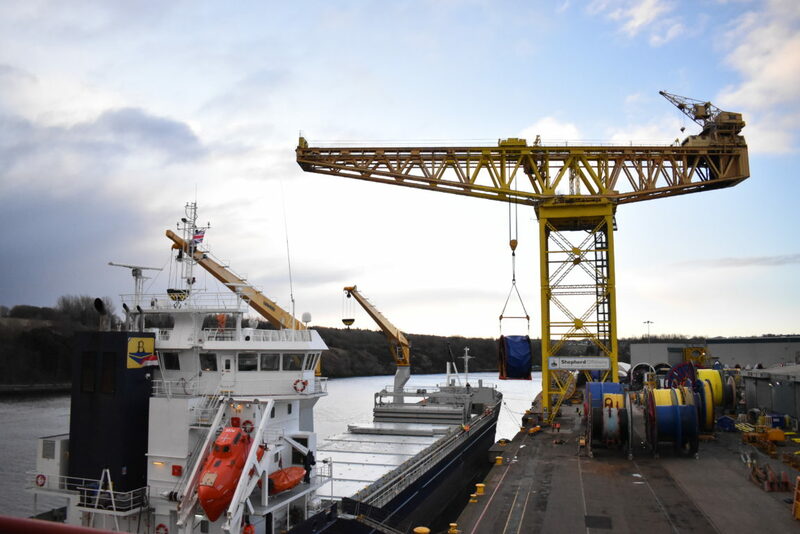 We pride ourselves on our versatility; whether you need one-off crane hire, full project management or a contract lift solution, we have the people, capability and capacity to meet your needs. Our capability & crane capacity are constantly evolving and solutions range in sizes, from 30 ton rough terrain cranes & forklifts to 800 ton crawler cranes. Our highly skilled team are available for all our client’s requirements, including site visits, advice on necessary craneage requirements and to provide all risk assessments and method statements mandatory for C.P.A. contract lifts. All lifts are planned in accordance with BS7121 Standards. Operating an ISO certificated Quality Management System, we aim to provide the best service 24 hours a day 365 days of the year.